At Plus One Defense Systems, we provide a level of support and instruction that is unsurpassed. Students at all levels enjoy the high quality of instruction, integrity of our team, and the wide array of martial art styles that are available. We are so confident that you will be satisfied, we offer a FREE introductory class to all. 100% free. No obligation. No pressure. Any style you like. 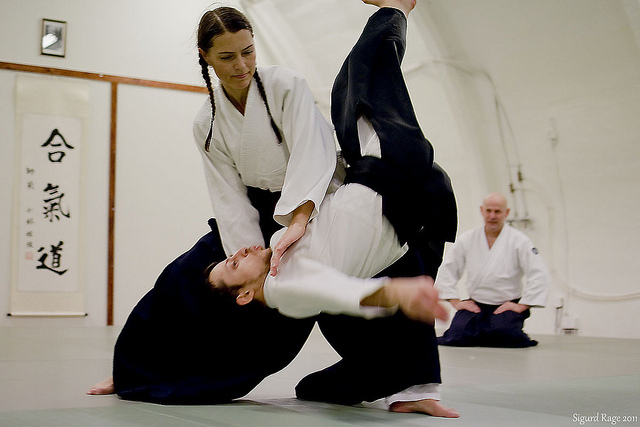 Aikido techniques redirect the momentum of an opponent’s attack, concluding with a throw or joint lock. This modern Japanese martial art form is a great addition to any self defense training. Boxers train in offensive and defensive hand techniques, footwork, speed, agility and develop overall body strength. These are essential skills for this sport as well as MMA, Muay Thai Kickboxing, and others. 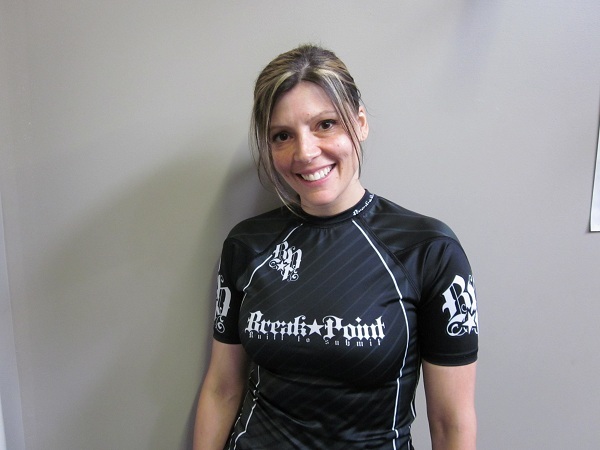 Brazilian jiu jitsu focuses on ground work, close-quarter combat, evasion and submission. A vast majority of fights go to the ground. Knowing how to defend yourself is imperative to your safety. This Indonesian-based system utilizes sticks (usually 24 to 26 inches in length) and also various types of knives and blades. It’s exceptional art to learn if you are in the military, on the police force, or security personnel. While there are many different styles, karate in general tends to be a striking art that focuses energy in linear motion. Great for kids and adults alike, and a fantastic place to start your martial arts journey! While not a martial art form, kettlebell training is a preferred strength and conditioning practice of many martial arts styles. Our kickboxing classes are fun, high-intensity, and have many useful applications. You can learn kickboxing both for self defense and also overall health. Build total body strength, self confidence, agility, speed, and balance today. Krav Maga is an Israeli self-defense system that focuses on real-world, scenario-based strategies and tactics, including weapons defense. Our classes focus on techniques you can use to stay safe and they are also a great workout. Kung Fu can be translated as “HARD WORK” is a great form of exercise that involves lots of aerobic activity. You will develop flexibility, speed, and powerful attacks and defenses as you practice the traditional forms of this ancient style. MMA utilizes a combination of several martial art fighting styles in a ring match. Bouts are fought in our regulation-sized OCTAGON CAGE. Fighters can find everything they need to train in MMA for fun or get ready for the ring. Muay Thai Kickboxing, is the traditional art & national sport of Thailand. Our kickboxing classes are fun, high-intensity, and have many useful applications. Muay Thai is often a critical skill for MMA fighters. 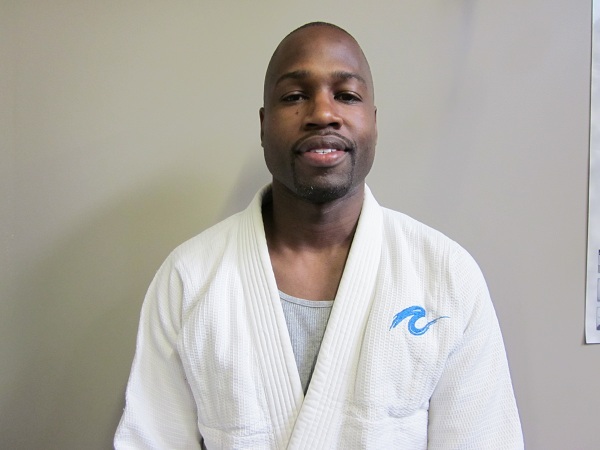 Sho Biyn Jiu translates to “First Understand Peace.” This system incorporates aspects of Chinese Kung-Fu, Muay Thai, Ed Parker’s Kenpo, Tae Kwon Do, Judo, Jiujitsu, and American Boxing. Tae Kwon Do is an Olympic sport and a Korean form of martial arts. Our junior classes are fun and energetic, teaching defensive skills, forms, and the character-building tenets of Tae Kwon Do. Our 9000 square foot facility is top notch. The downstairs consists of about 2000 square feet of mat space, an MMA cage, a boxing ring, a full complement of heavy bags, light bags, and pads, a weight/cardio fitness center, a pro-shop, bathrooms, and showers. The upstairs consists of a beautiful lounge area and a traditional style dojo. Wi-Fi access is available throughout the building. If you are looking for martial arts classes, and you live in the greater West Hartford Connecticut (CT) area, you can tour the facility and take a free introductory class in any style we offer. 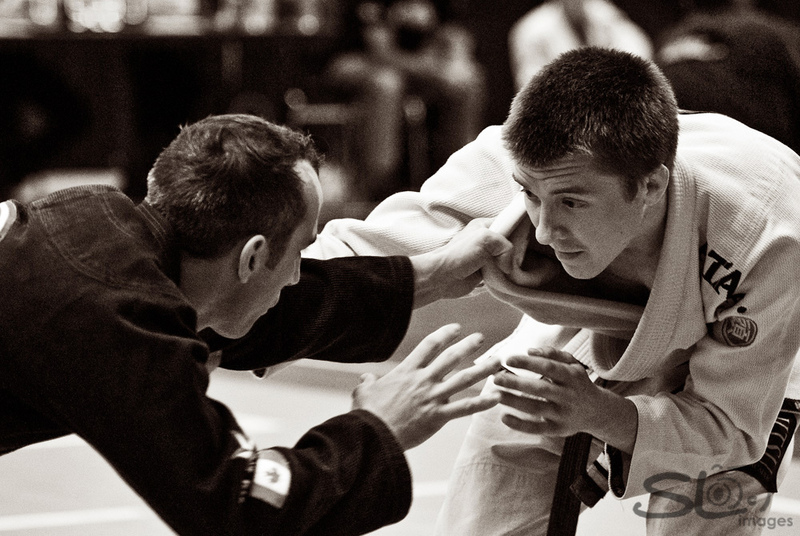 The true martial artist is one of the most peaceful people you will ever meet. S/he is of high moral character, modest, courteous, and controlled. At Plus One Defense Systems we hold to the notion of a chosen physical peace with others whenever possible, and we aim to provide the student with the highest degree of knowledge and skills that s/he can obtain regarding physical confrontations- how to evade them, and how to defend oneself or another when evasion is not a feasible option. With this emphasis, Plus One Defense Systems is a great place to learn. Children are educated regarding a personal defensive awareness, and they are educated regarding defensive concepts and techniques. Adults learn and advance, gaining rank, through an effective and beautiful martial arts system in an environment that fosters growth. Confidence and defensive awareness are cultivated in a goal-oriented atmosphere. Forms, combinations, sparring, self-defense concepts and practice are integral to our system. 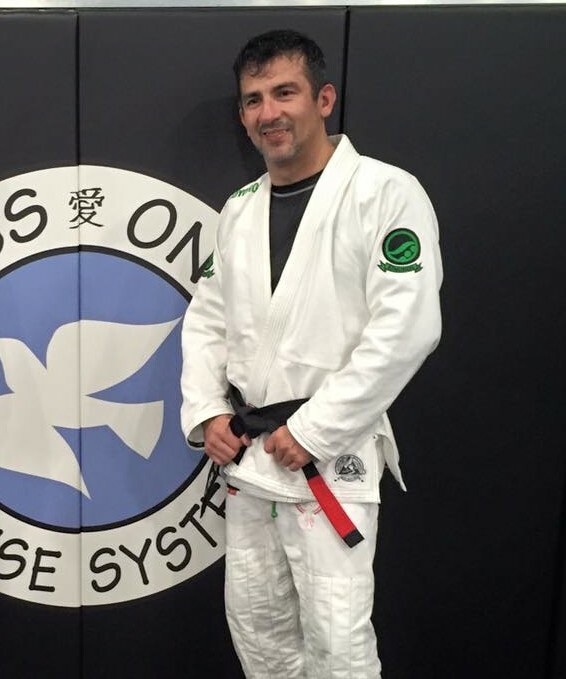 Our mission at Plus One Defense Systems is to provide the highest quality of martial arts instruction available, with the greatest diversity of styles available, in a personal fashion that caters to the individual needs of our students. We desire to make a positive impact on our local and global community, to be an extension of the family for which our students look to for mental, physical, and spiritual growth, and to be a “home away from home” for those who train with us. 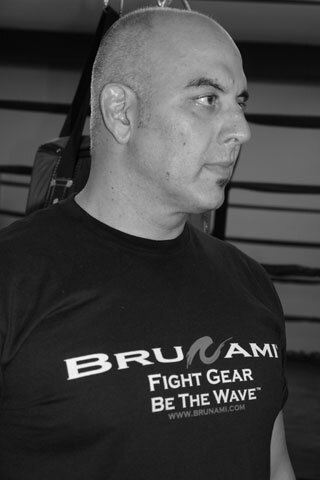 Our vision at Plus One Defense Systems is to be the number one destination for martial arts in the region. With the highest quality instruction, and the greatest variety of disciplines available, we want to be known as a place that offers expert training in a complete complement of martial arts styles. We desire to cater to the individual who trains, based on her/his specific needs and goals. With this in mind, our goal is to be a school that shows the highest degree of care and the greatest level of customer service available. We want to be more than a school; we want to be an extension of the community, a home away from home. Plus One Defense Systems seeks to be a financially successful organization that supports the physical, mental, and spiritual growth of the individuals and families who are involved with us. We desire to provide an environment that offers a holistic approach to martial arts training, branching out to multiple venues, and connecting intimately with the community we serve. As well, we uniquely teach the art of Sho Biyn Jiu (translated as First Understand Peace). Plus One Defense Systems utilizes structured curriculum with primary and secondary competency focus areas. Each specified art has a designated structure. Within the Sho Biyn Jiu system four main areas of development are labeled as distinct aspects of the curriculum: technique, form, self defense, and sparring. There is an overall focus on mental development, connecting our physical training to the real world in a responsible manner. News, information, and announcements. We regularly spotlight students who demonstrate a high level of commitment and are making huge strides in their mental and physical development. Get answers on the FAQ!